The indecisiveness and concerns among financial institutions about the US-China trade war and uncertainty about Brexit is "creating problems for us," Sultan Ahmed bin Sulayem, chairman, DP World, said on Tuesday. He noted that banks are now reluctant to lend due to the looming cold war on trade and protectionist policies. "The issue that we face today is not what will happen if they [the US and China] don't agree [on the trade dispute]. 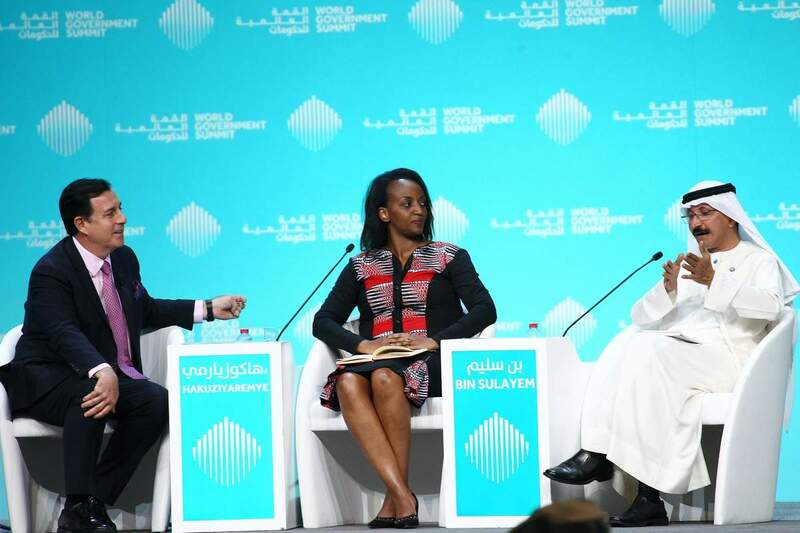 But the indecisiveness, the fear and concern among financial institutions [due to the trade war] are creating a problem for us," bin Sulayem said during a panel discussion at the World Government Summit in Dubai. "Banks are in the business to protect their deposits and lending. With a cold war looming, it is disturbing that banks don't want to lend. They are worried that if they lend to somebody and as a result of retaliation between the two countries, it might be affected. Until they decide, there will be a cloud hovering on all," bin Sulayem added. Beijing and Washington have already slapped tariffs on more than $360 billion in two-way trade, hitting the two countries' manufacturing sectors. The US President has postponed more tariffs on Chinese imports worth $200 billion to allow negotiators some time to thrash out a deal. China will likely respond by raising tariffs on $60 billion worth of US goods that it had announced last year in retaliation. US Treasury Secretary Steven Mnuchin is currently in Beijing for trade talks. "We're looking forward to several important days of talks," he told reporters on Tuesday. Sympathising with Trump Bin Sulayem also highlighted that the uncertainty about Britain's exit from the European Union is another point of concern for the global port operator. He sympathised with US President Donald Trump's argument that other countries should open up their economies like the US. "We have two terminals in the UK. Our problem is the indecisiveness of governments. As a businessman, we don't care if they have a Brexit - good or bad. We can run our business only once this indecisive environment disappears. Once again, it comes to fair trade versus free trade. The US market is open, so I sympathise with Trump when he says 'I want to open other countries' markets'", the DP World chairman said. "When you listen to President Trump, I think you should look at what he does and not what he talks about. The US feels that fair or free trade is not treating the US fairly. Basically, the US market is open but other markets are closed. The trade to retaliate with protectionist policy was made by him against Mexico and Canada but in reality, he signed a fair agreement with Canada and Mexico. We have major investments in Canada and we were concerned," bin Sulayem said. Africa The DP World chairman said that Africa's potential for growth is big, despite obstacles. "In Africa, the problem is that inter-regional trade is just two per cent of the total. While in Europe, it is 50 per cent of their trade; in Latin America, it is 27 per cent and 33 per cent in Asia. The reason for less inter-regional trade is due to high customs duties and bad infrastructure. What Africa needs is infrastructure which needs capital; and capital will come from the private sector; and the private sector would like to see good governance and transparency," bin Sulayem advised. Soraya Hakuziyaremye, minister of trade and industry of Rwanda, noted that two economic powers involved in a trade war is a matter of concern. "But our priority as the African continent is how we implement the continental free trade area, which will allow Africa to not only have one voice on the global stage but also enhance traffic and trade. Because, at the moment, traffic and trade is very low at 12 per cent. We are hoping to double traffic and trade by 2022," she added. "The US and China are both trade partners to African countries but the priority now is to create our own single market to make sure that the continent's free trade area agreement comes into force this year," the Rwandan minister said. 04/16 DP WORLD : UAE Region to showcase latest range of offerings for the petrochemica..